Every time I go to the market I find something new and fascinating. Usually it’s the food; some prepped and ready to cook vegetable dish or a new seasonal arrival at the market that merits being photographed and then eaten. I also love to chat with the vendors and see what they’re up to. 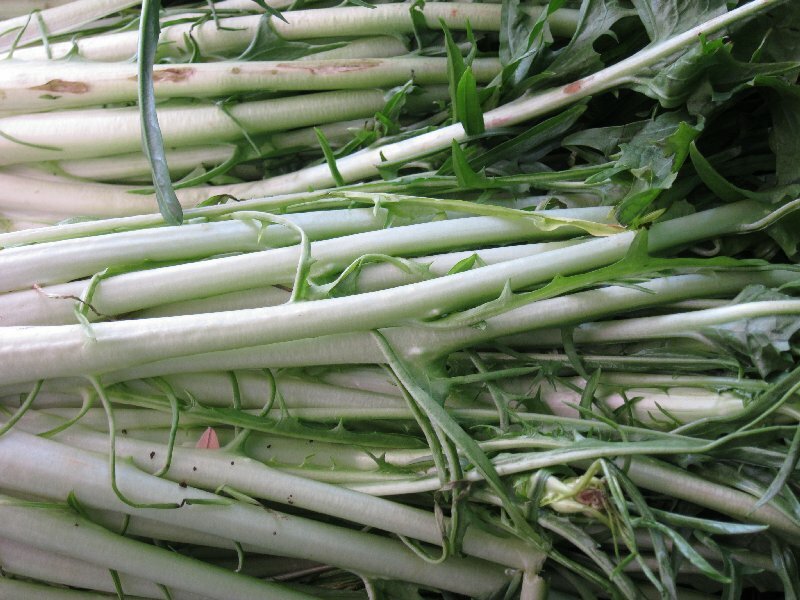 It’s no small task to clean dozens upon dozens of artichokes daily, to prepare the minestrone and ribollita that’s for sale and, in this season, to clean the puntarelle. The taste is nothing short of amazing. Hence, they sell like crazy when they’re in season. They are so easy to make, that is, assuming you’re not doing the cleaning. 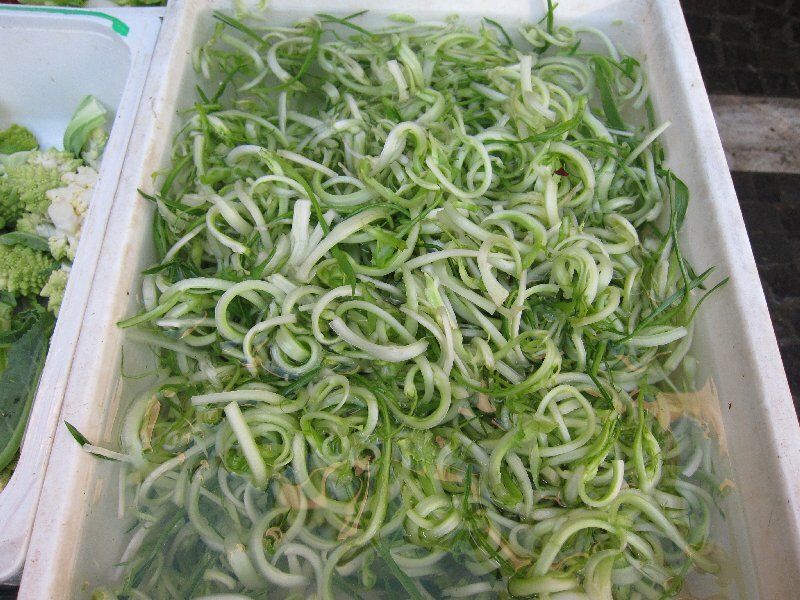 I don’t know anyone who actually buys the uncleaned puntarelle. It’s a laborious, time-consuming task that yields very little satisfaction in the food-prep department. The market vendors are amazing to watch cleaning all the different types of produce and they are incredibly fast and adept at these tasks. Yet even they look for the faster, easier way. 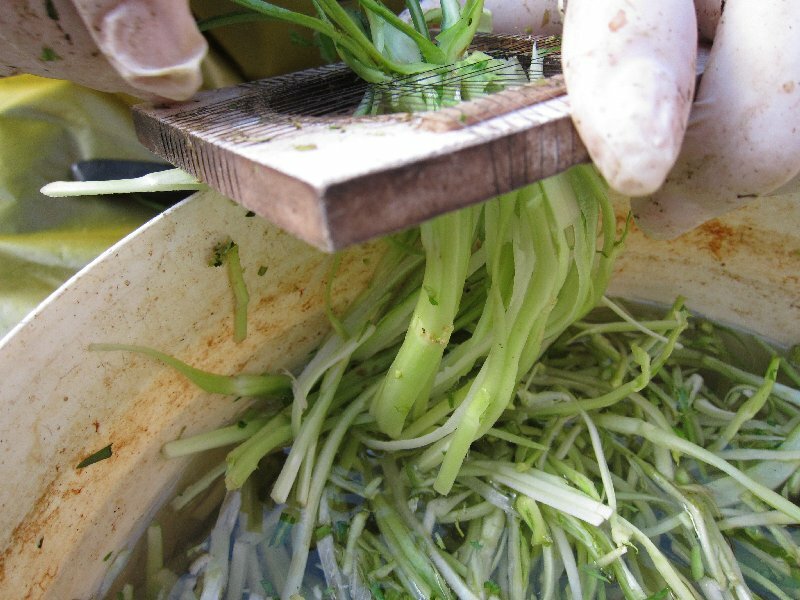 Today the elderly zio of one of my vendors was cleaning puntarelle with a hand-made tool that I would best describe as an artisanal julienne device. 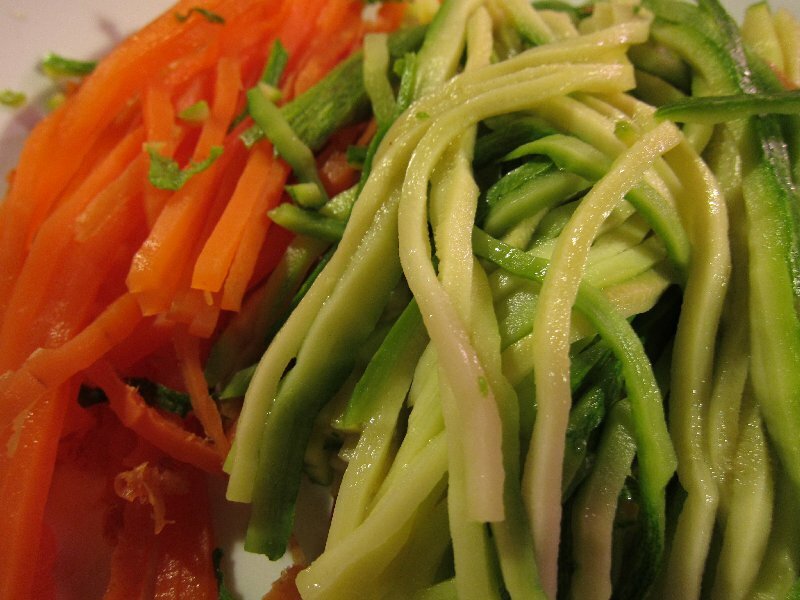 He was using it to clean the puntarelle by pushing them through the device, rather than slicing them with a knife the traditional way. It’s really quite ingenius in its simplicity and I’m glad to have welcomed it into my collection of odd & unique, but highly functional kitchen tools. 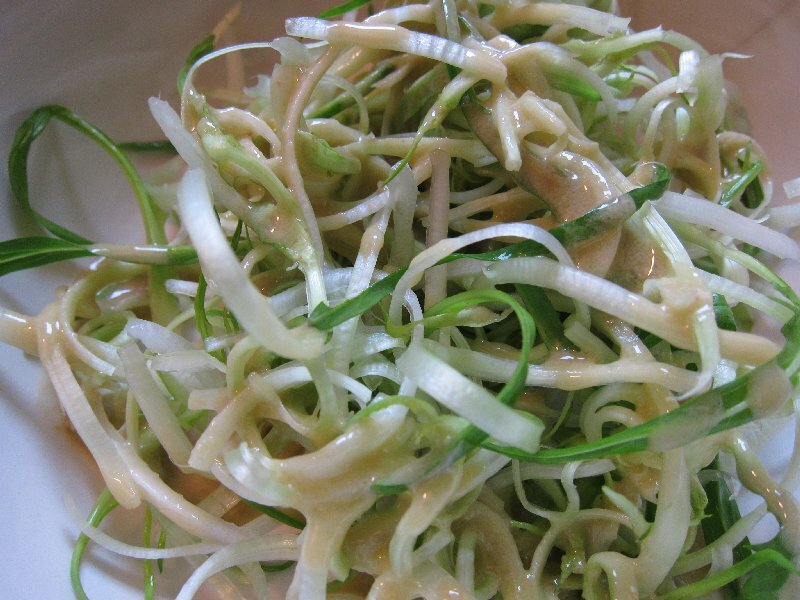 Blend until creamy, toss on your puntarelle and serve! And where can I find that tool? amazing tool… love your blog… like mine? The tool itself is beautiful to look at! I'm also sure it could come be useful for various foods, on occasion. Nice find! What a lovely find….it's beautiful and unique enough to put on display! Hang it on the wall between uses. Thanks for the dressing recipe. Had it at your place, and loved it. The tool can be found at the Ponte Milvio market….but not always unfortunately. 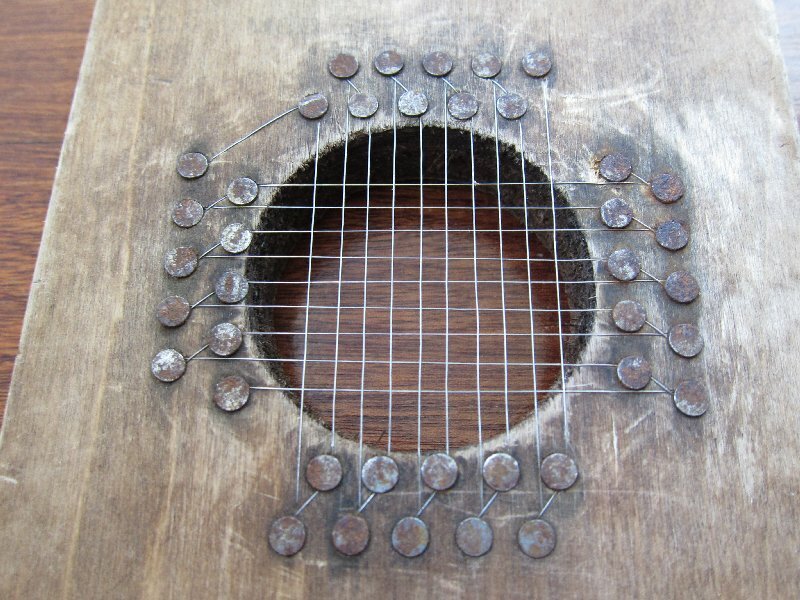 It would be simpler to make one!